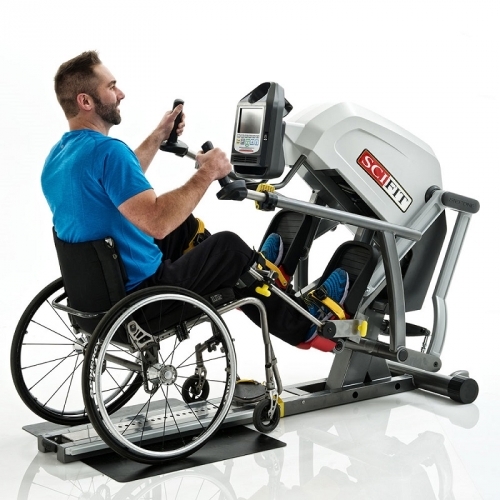 All SCIFIT IFI models have been Inclusive Fitness Initiative accredited by the English Federation of Disability Sport, which ensures the equipment has been assessed as suitable for use by disabled and non-disabled users alike. FitnessZone is a company dedicated to your fitness and well being. Our staff is always ready to help you reach your fitness goals. 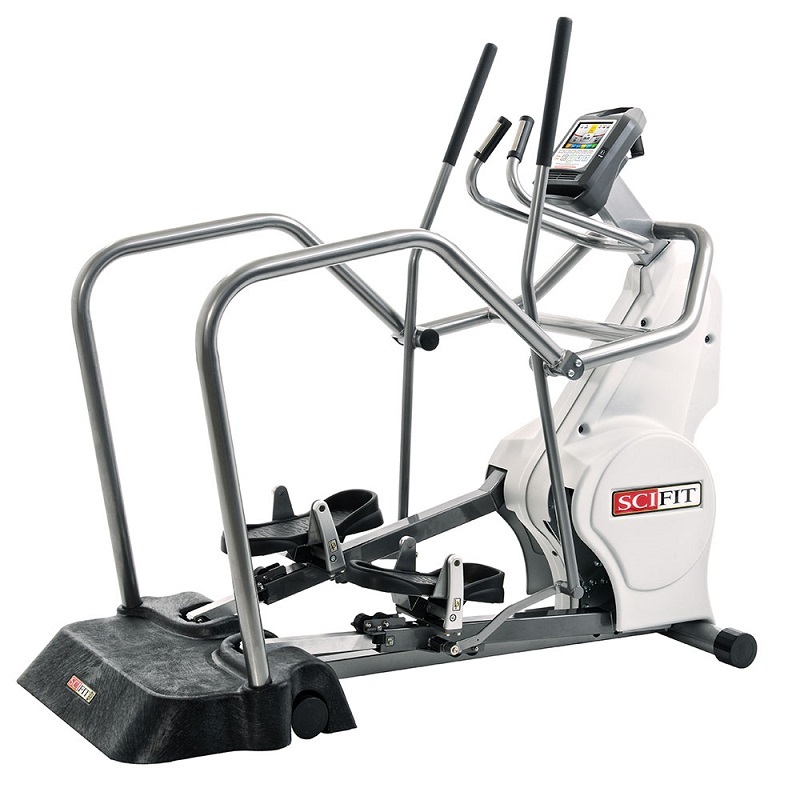 SciFit builds equipment that builds people up. 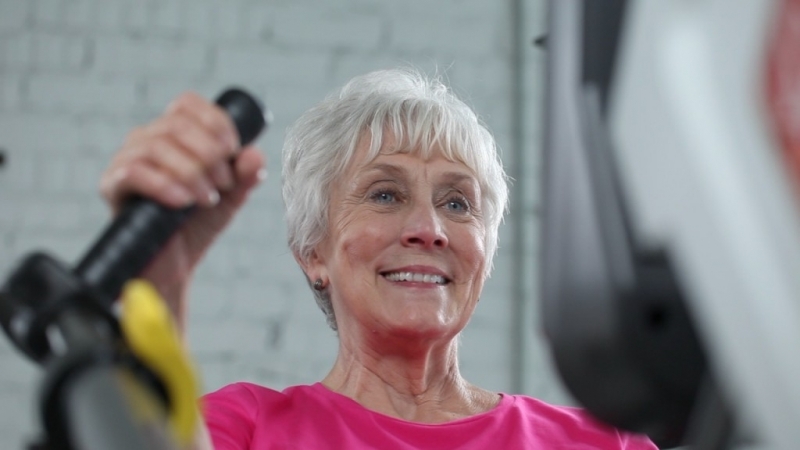 Whether it’s someone recovering from a heart attack, rehabilitating from knee surgery or exercising for the first time….SCIFIT products help you progress toward your goals. 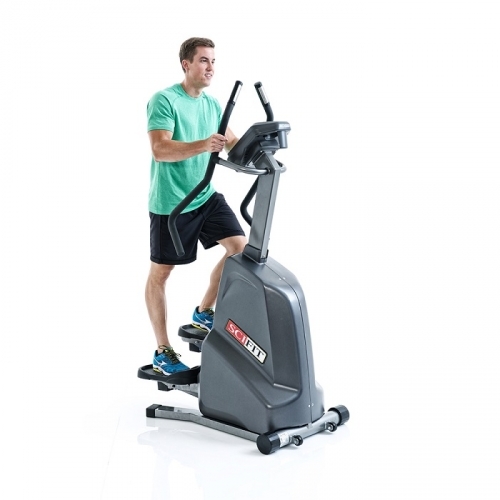 Let our staff at FitnessZone help you find the right equipment for you and your facility. We would love to learn about your needs and help you find the ideal equipment to meet your specific goals. 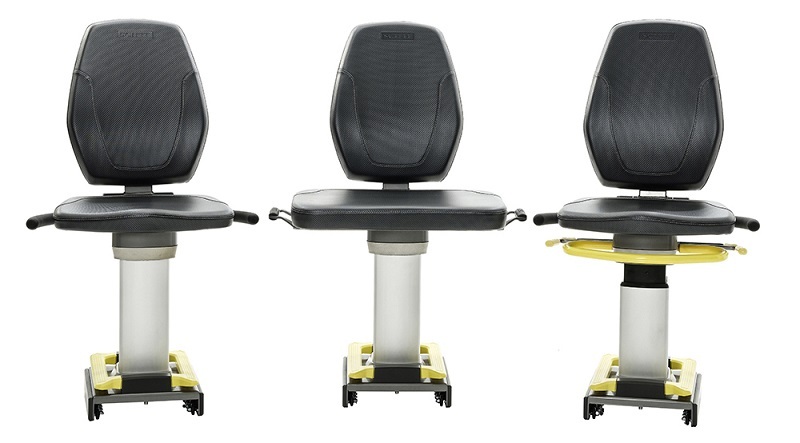 SciFit have redesigned and improved their seats, from top to bottom. They have beefed up the bases, upgraded upholstery and 360 Therapist Assist Pedals, we know you will like their new family of seats as much as we do. Heart-Fit and Power-Fit testing and training protocols are designed by world renowned exercise specialist Paul Robbins, Metabolic Specialist with Athletes’ Performance. These programs measure and help improve heart rate recovery, power, and endurance. Heart-Fit and Power-Fit provide the ability to do benchmark assessments, to follow with the built-in training, and then test again to show improvement. 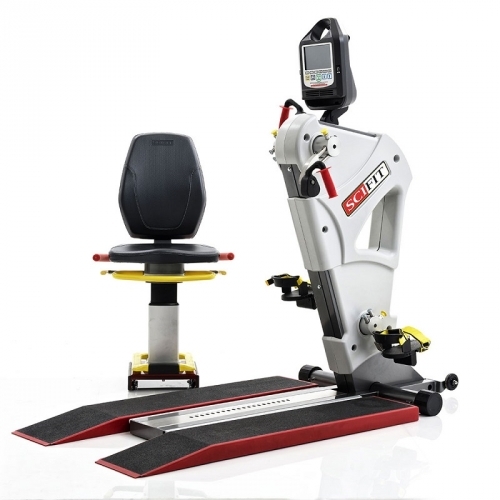 Intelli-Fit’s medical accuracy provides consistent exercise conditions for repeatable assessments and measurement of true results. 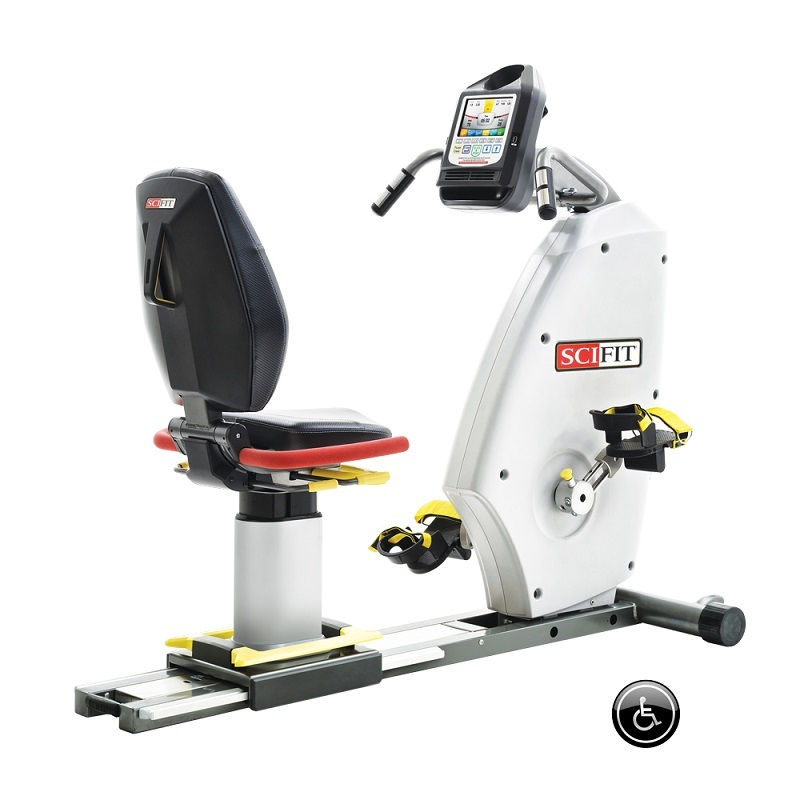 SciFit builds equipment that builds people up. Whether it’s someone recovering from a heart attack, rehabilitating from knee surgery or exercising for the first time….SCIFIT products help you progress toward your goals. Accessibility is key. 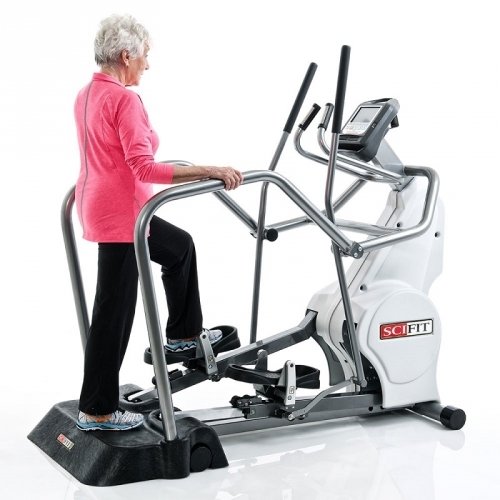 Our equipment makes it easy for people of all ages and abilities to get moving, stay motivated and see results. 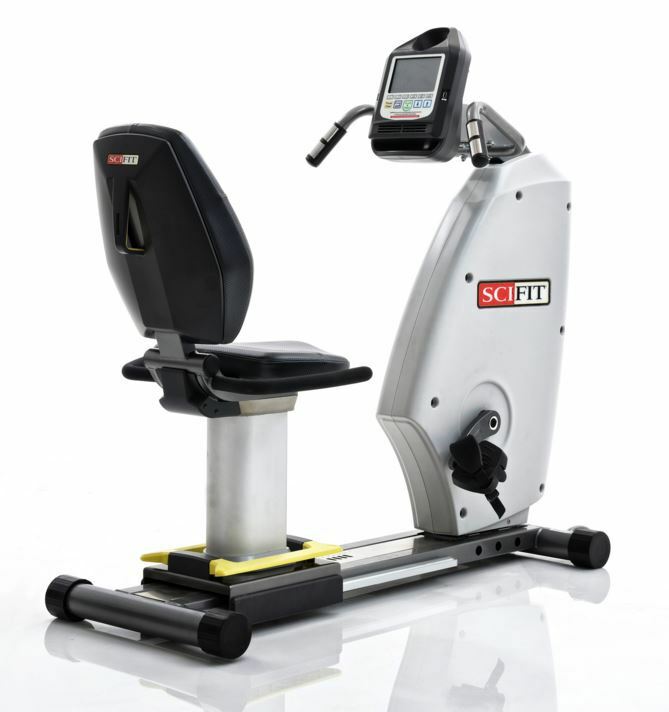 The SciFit Upright Bike Forward Only has dual seat adjustments, a large comfortable seat and easy entry make the Upright Bike Froward, ISO1007-INT is ideal for users of all sizes. 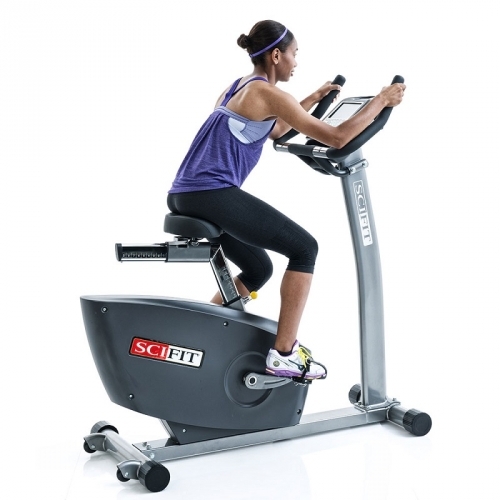 Riding the SciFit Upright Bike Forward Only is effective for training several lower body muscle groups. Riding is most effective for training your leg muscles, including the quadriceps, calf and thigh muscles. You also work the hip flexors, glutes, abs, oblique and other stabilizing core muscles. 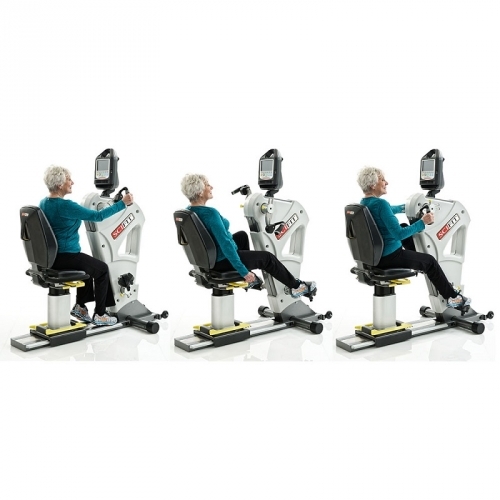 You will also observe small benefits in the arm muscles as you stay upright on the machine, including the biceps, triceps, wrist and hand muscles. 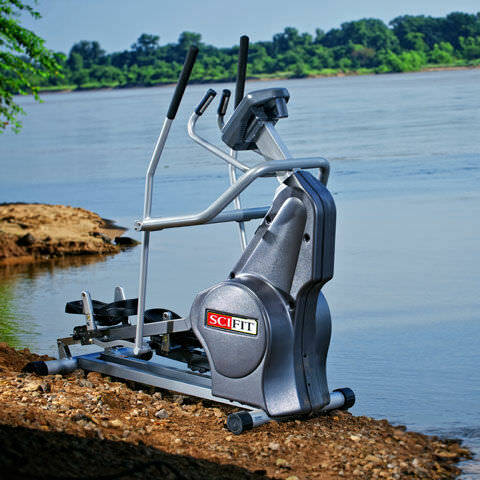 SciFit builds equipment that builds people up. 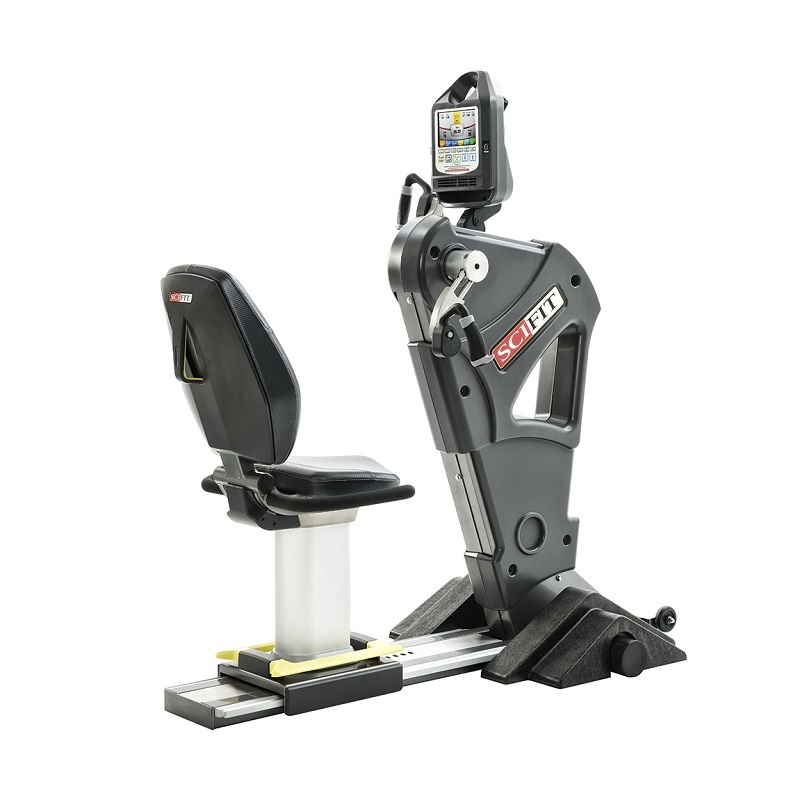 Whether it’s someone recovering from a heart attack, rehabilitating from knee surgery or exercising for the first time….the SciFit Upright Bi-Directional Bike will help you progress toward your goals. Accessibility is key. 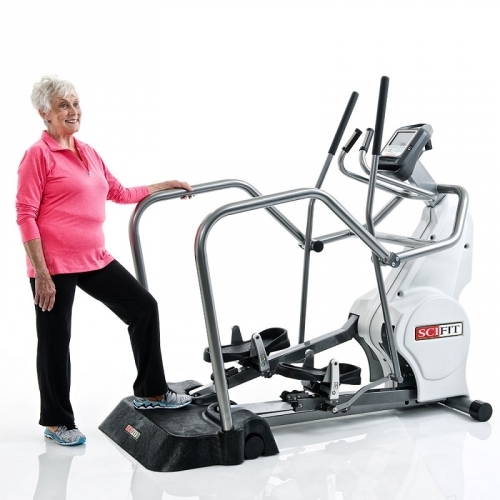 Our equipment makes it easy for people of all ages and abilities to get moving, stay motivated and see results. 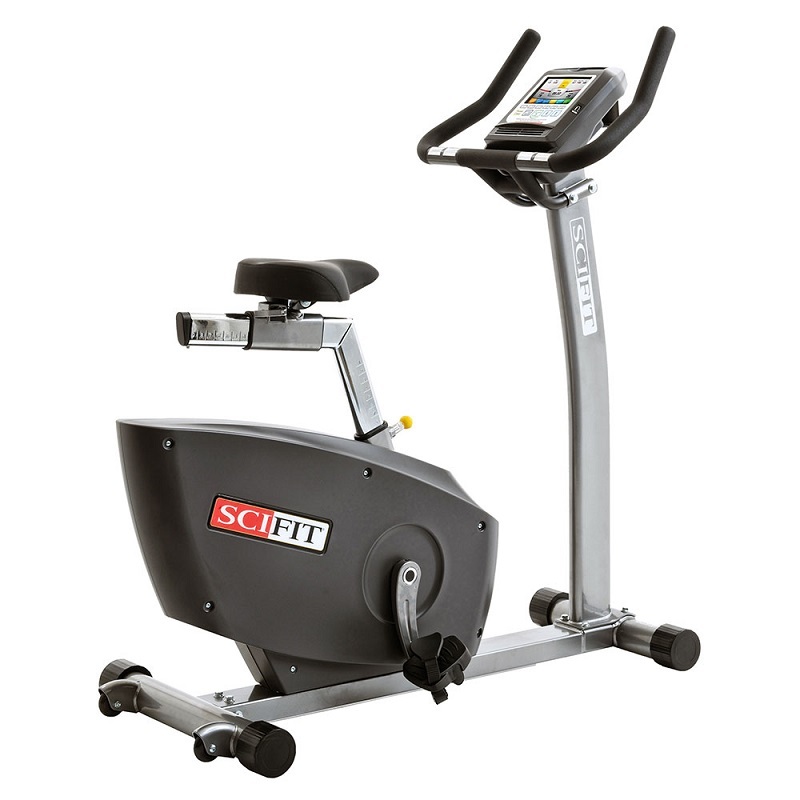 Dual seat adjustments, a large comfortable seat and easy entry make this SciFit Upright Bi-Directional Bike, ISO7001-INT ideal for users of all sizes. 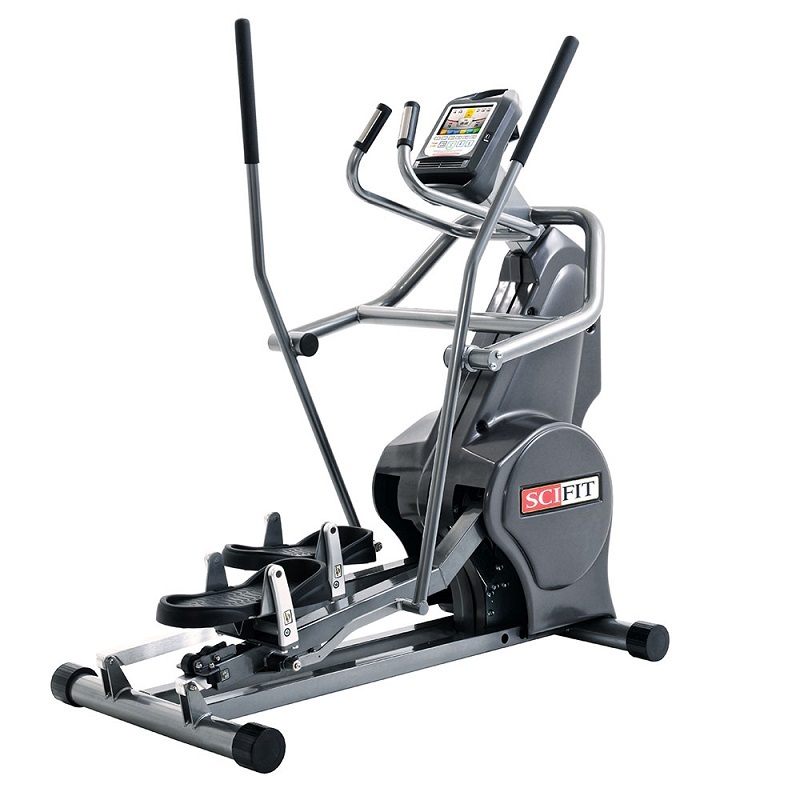 SciFit builds equipment that builds people up. Whether it’s someone recovering from a heart attack, rehabilitating from knee surgery or exercising for the first time…. 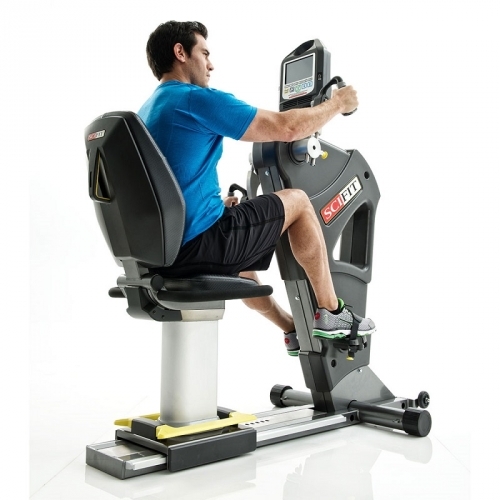 The ISO1000R Recumbent Bike will help you progress toward your goals. Accessibility is key. 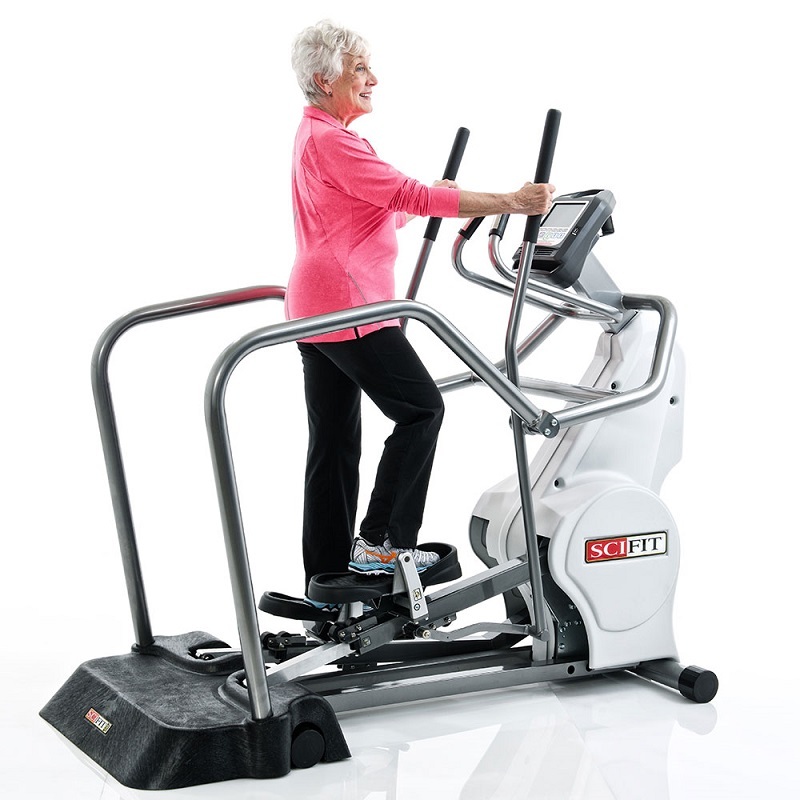 Our equipment makes it easy for people of all ages and abilities to get moving, stay motivated and see results. 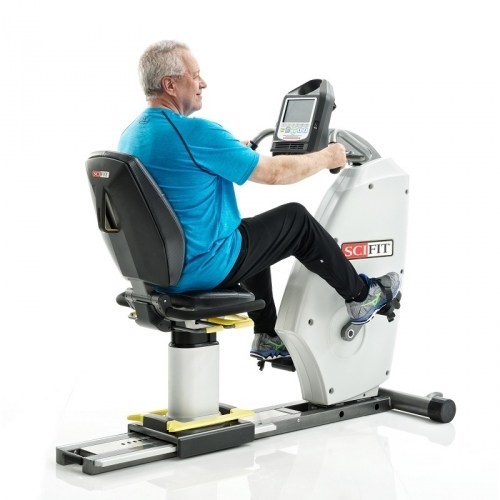 Our SCIFIT ISO1000R Recumbent Bike provides opportunities for people of all ages to stay active. 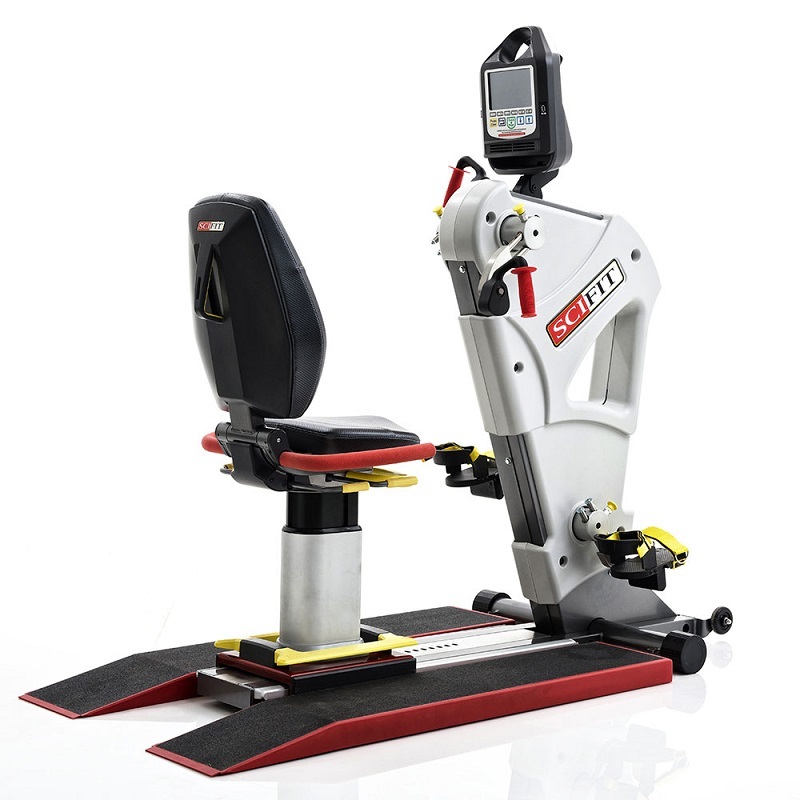 Using our equipment and programs can help improve strength, balance, flexibilityand endurance to make it easier to perform the activities of daily living. These improvements can also help prevent slips, trips and falls, and may help speed recovery from injuries. 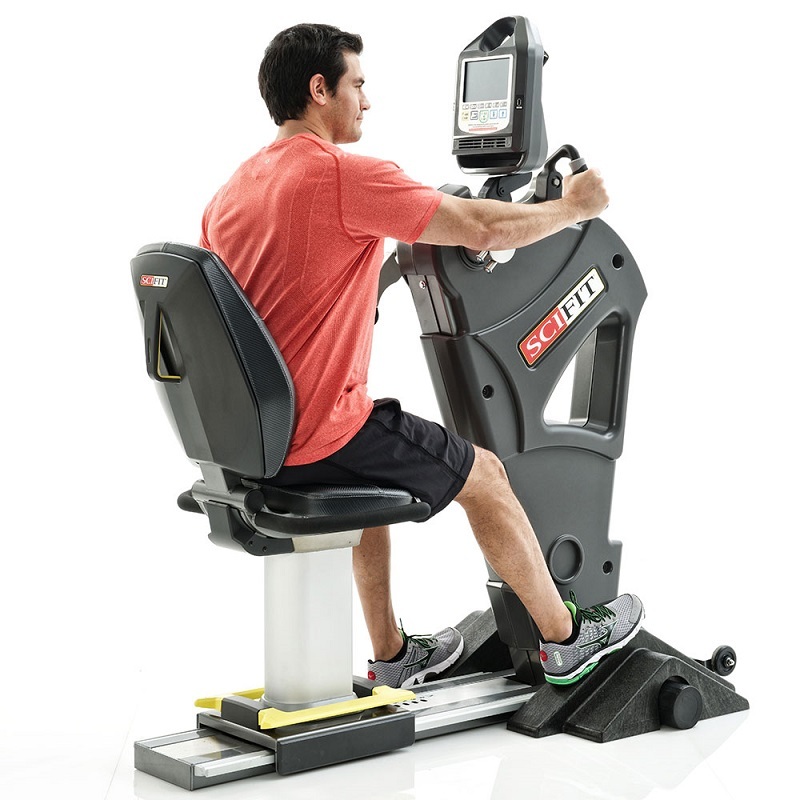 The SciFit ISO1000R Recumbent Bike is easy to use and features simple, familiar movements to improve functional health and promote independence. 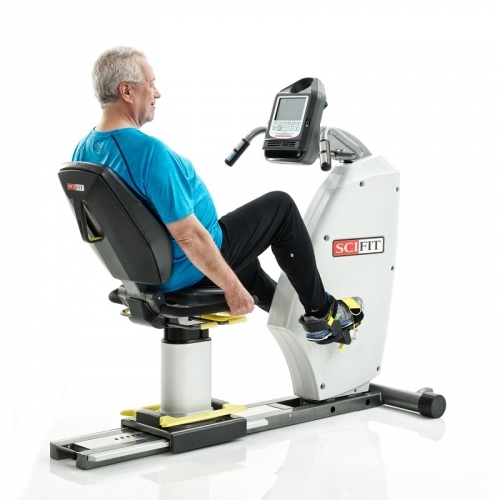 Our SCIFIT ISO7000R Recumbent Bi-Directional Bike with the standard seat provides opportunities for people of all ages to stay active. 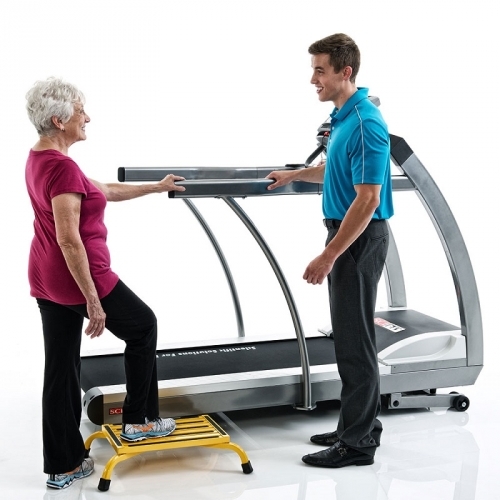 Using our equipment and programs can help improve strength, balance, flexibilityand endurance to make it easier to perform the activities of daily living. These improvements can also help prevent slips, trips and falls, and may help speed recovery from injuries. 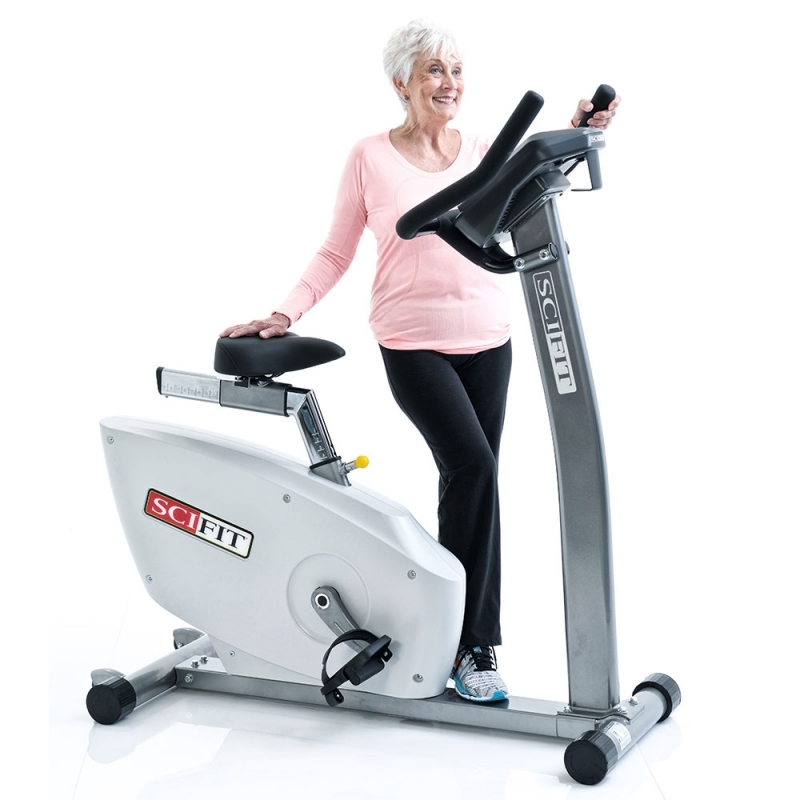 The SciFit ISO7000R Recumbent Bi-Directional Bike with the standard seat is easy to use and features simple, familiar movements to improve functional health and promote independence. 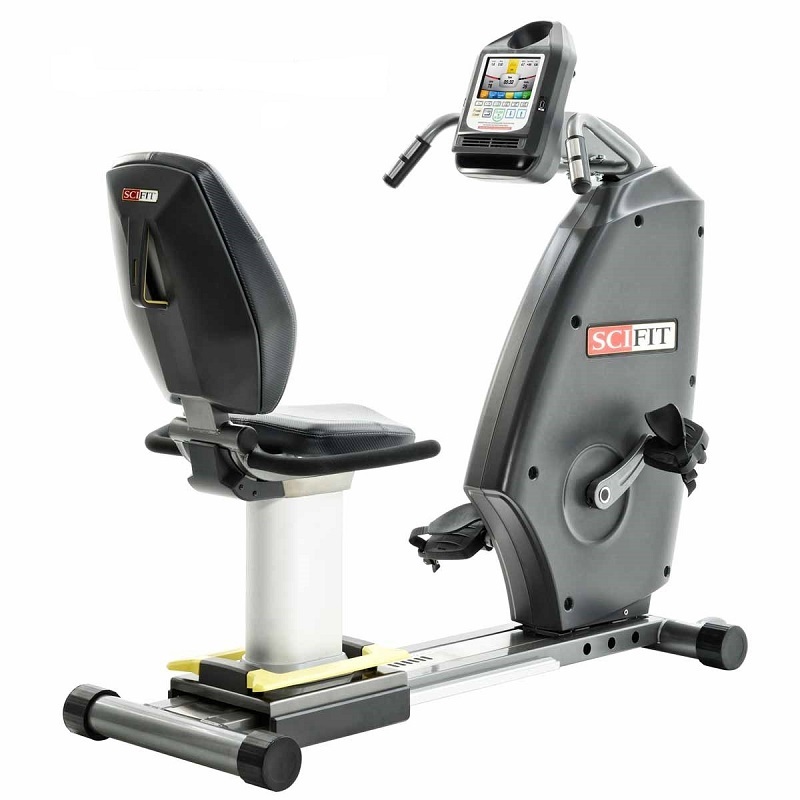 SCIFIT recumbent bikes (ISO7000R and ISO1000R) features a true adjustable step through that adjusts up to a full 23 inches for safe and easy access. 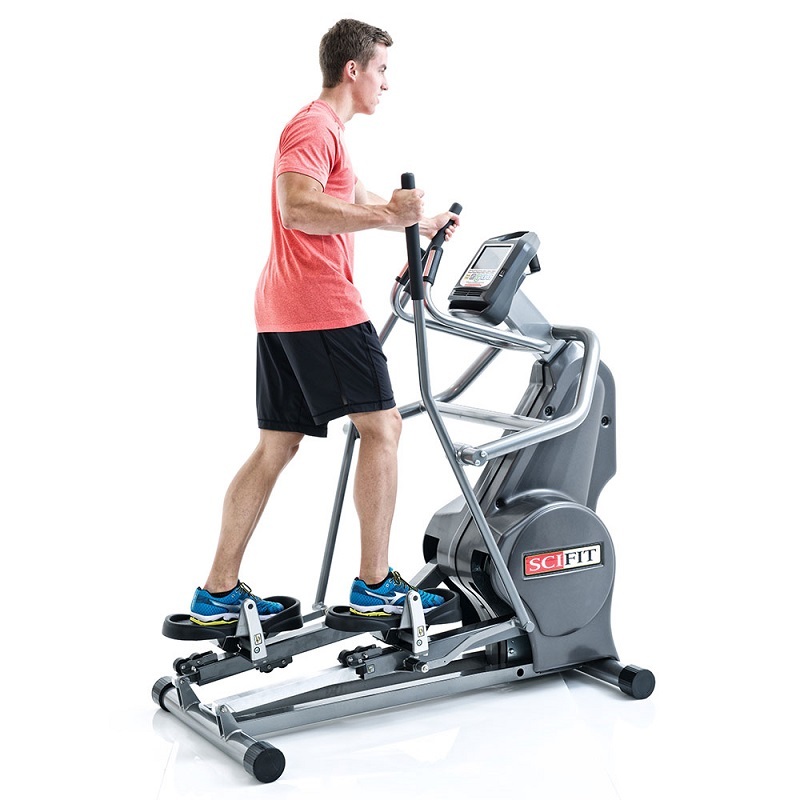 This Easy Entry Total Body Cross Trainer provides a natural total body movement that creates a true-to-life walking cadence. movement that creates a true-to-life walking cadence. REX's smooth, natural knee movement replicates climbing stairs to improve functional gait. 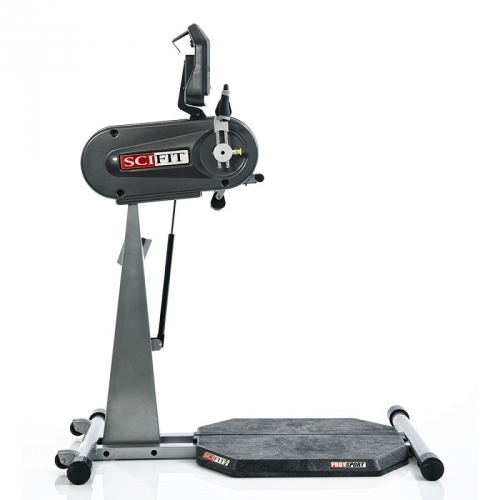 SciFit builds equipment that builds people up. 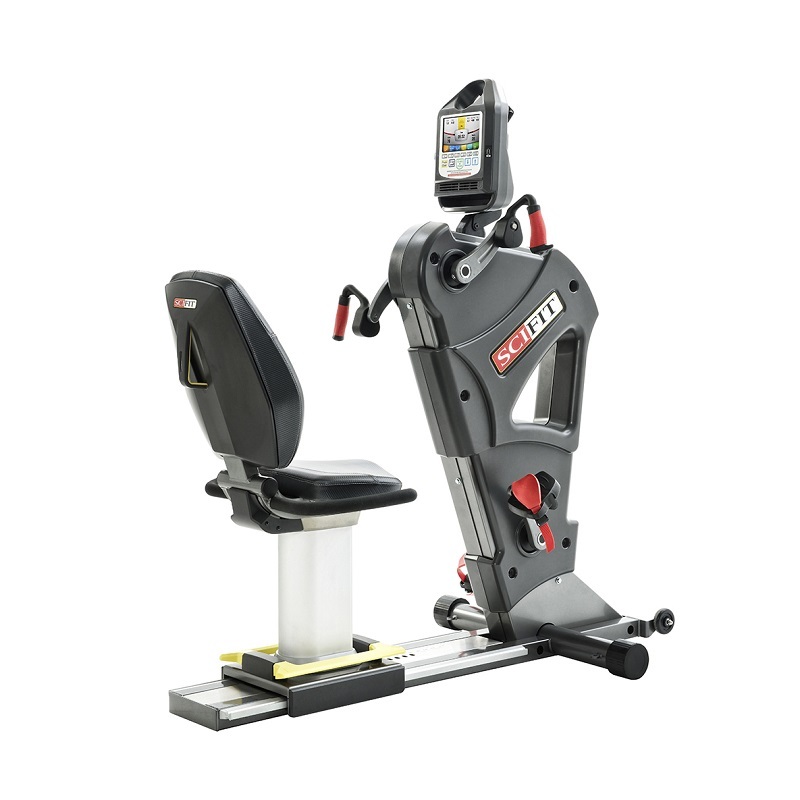 Whether it’s someone recovering from a heart attack, rehabilitating from knee surgery or exercising for the first time….the SciFit Rex 70000 and 70001 Total Body Recumbent Elliptical will help you progress toward your goals. Accessibility is key. 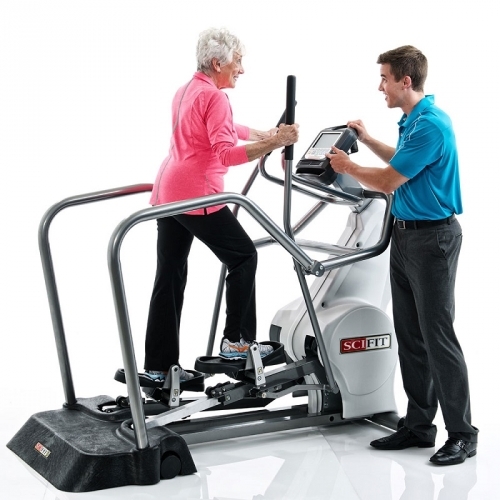 Our equipment makes it easy for people of all ages and abilities to get moving, stay motivated and see results. 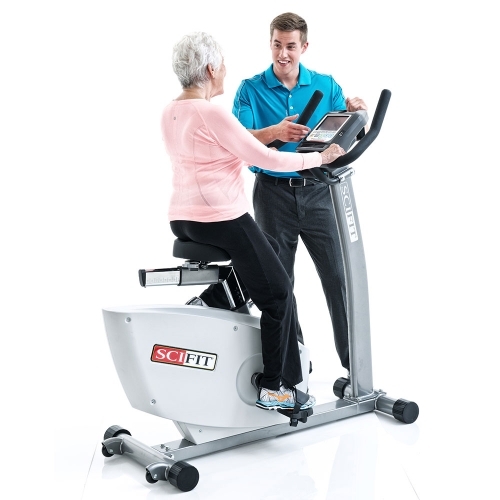 Our SciFit Rex 7000 and 7001 Total Body Recumbent Elliptical provides opportunities for people of all ages to stay active. 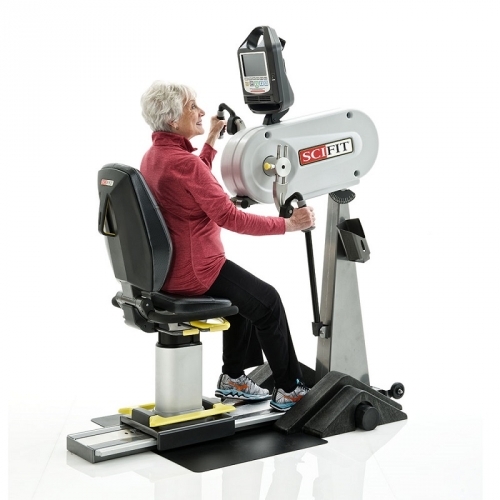 Using our equipment and programs can help improve strength, balance, flexibility and endurance to make it easier to perform the activities of daily living. These improvements can also help prevent slips, trips and falls, and may help speed recovery from injuries. 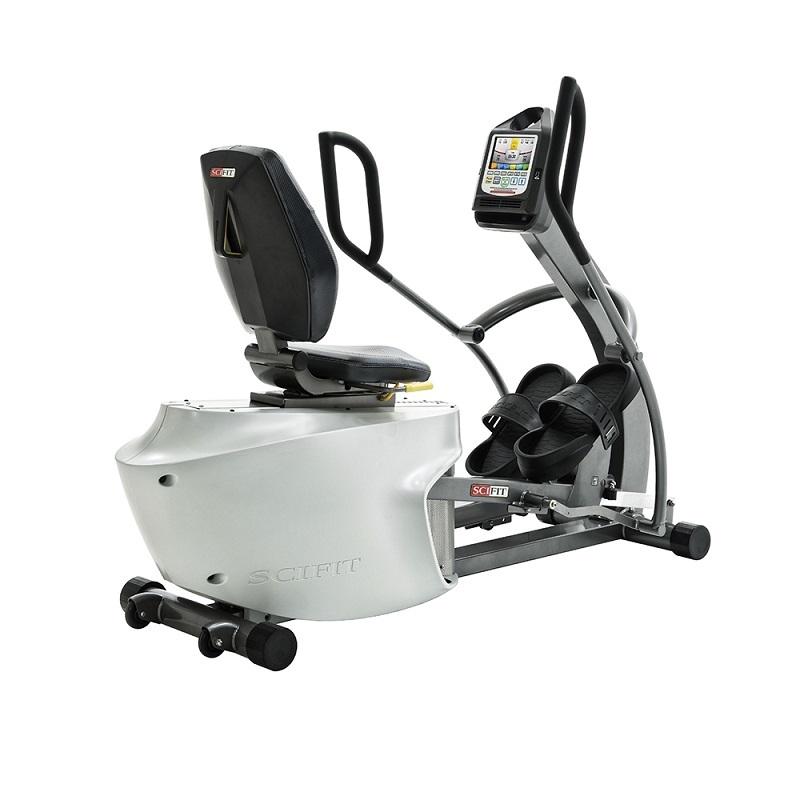 The SciFit Rex 7000 and 7001 Total Body Recumbent Elliptical is easy to use and features simple, familiar movements to improve functional health and promote independence. 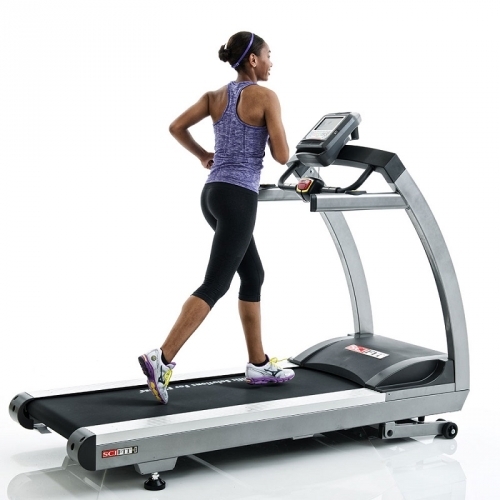 Treadmill makes it easy to start progressing toward your goals. 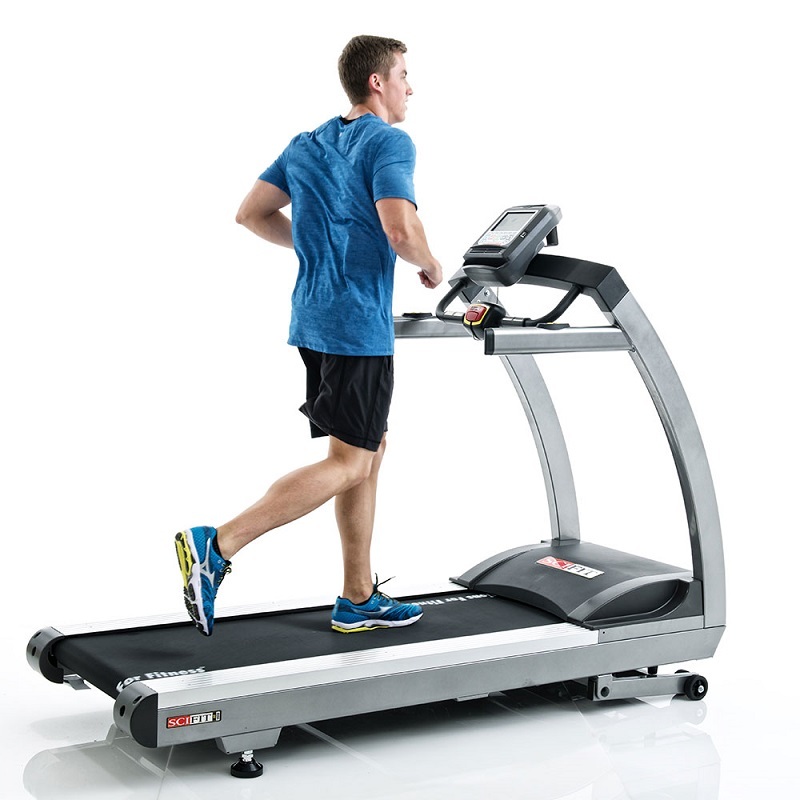 Generous walking surface – 22" x 62"
In addition to its low starting speed of .1 mph, the AC5000M Medical Treadmill increases your options with reverse motion up to 4 mph and a -3% decline for downhill training. 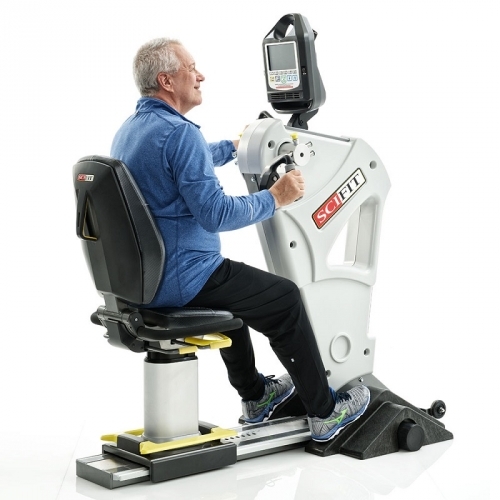 Our SciFit StepOne Recumbent Stepper provides opportunities for people of all ages to stay active. 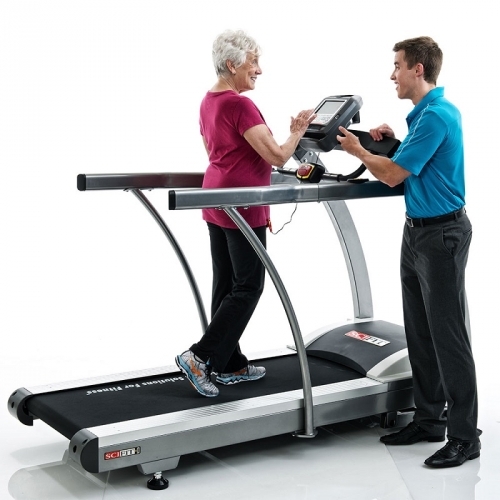 Using our equipment and programs can help improve strength, balance, flexibility and endurance to make it easier to perform the activities of daily living. These improvements can also help prevent slips, trips and falls, and may help speed recovery from injuries. 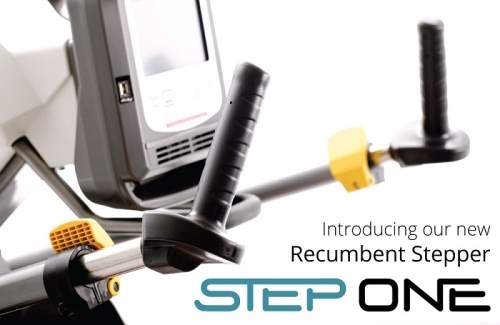 The SciFit StepOne Recumbent Stepper Premium is easy to use and features simple, familiar movements to improve functional health and promote independence. 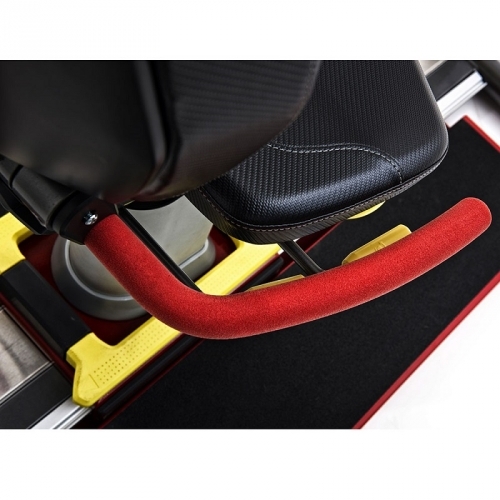 Direct wheelchair access: Seat slides off easily for direct wheelchair access. ADA compliant. 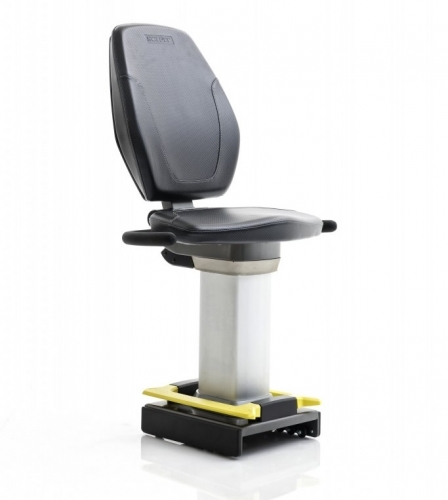 Easy patient transfer: Adjustable swivel seat sits on a flat horizontal monorail and provides easy patient transfer. Step-through seating: True adjustable step-through design, allows all users full access and ease of entry. Grab bar: Integrated for easy entry and support. 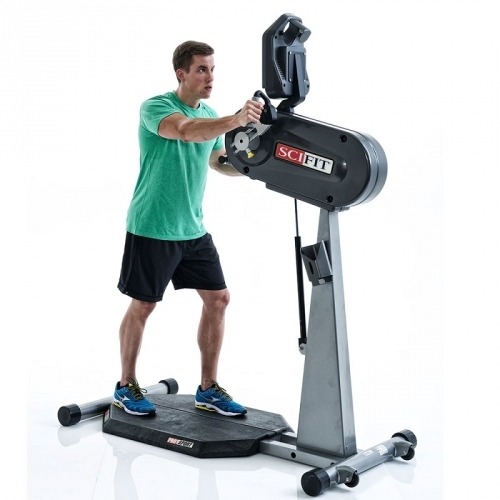 TheSciFit Pro1 Standing Upper Body Adjustable Crank is the industry's most versatile ground based training rotary device. Use it for one or both arm exercises — forward or backward — for strength and cardio. Also ideal with a stability ball or disk. The crank arms on the SciFit Pro2 Sport Total Body Fixed Cranks need to be adjusted as well—a short-limbed person would not want to start with a long crank arm that takes them out of their prescribed range of motion (ROM). Conversely, a long-limbed person would lose mechanical advantage and optimal ROM with too short of a crank arm. 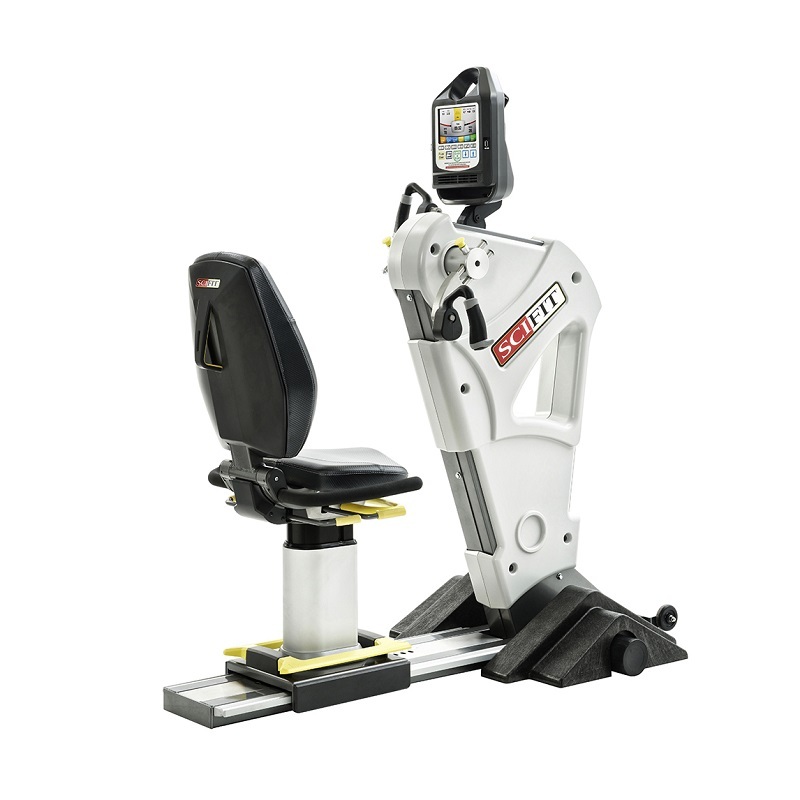 Independent adjustments allow users to select a shorter ROM setting on the involved side while maintaining mechanical advantage on the strong side; providing passive assistance when beneficial. Having the ability to change the crank arm orientation on the SciFit Pro2 Sport Total Body Fixed Cranks from the standard bicycle offset movement to work in unison or in a rotary rowing pattern is advantageous. It allows the user to work in core flexion versus rotation in cases where torso rotation is undesirable. 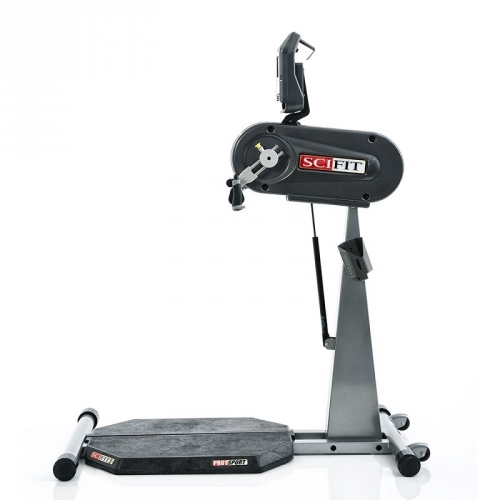 With the SciFit Pro2 Sport Total Body Fixed Cranks you have the ability to utilize bi-directional movement. Bi-directional movement is essential for muscle and joint balance, but perhaps more importantly for neuromuscular kinesthesia. When we cue the patient to go backwards, 99 times out of 100 their neuromuscular hardwiring will tell them to pull. When we cue them to go forward their brain will tell them to push. But as their kinesthetic awareness expands they will come to realize that as only part of the total equation. In fact, in the course of any given rotation there are myriad push/pull combinations. As these new neuromuscular pattern connections are made, kinesthesia, motor skills, and even cognitive skills are improved. Anything that takes the patient out of the dominant pattern makes the brain-muscle connection stronger and actually smarter. 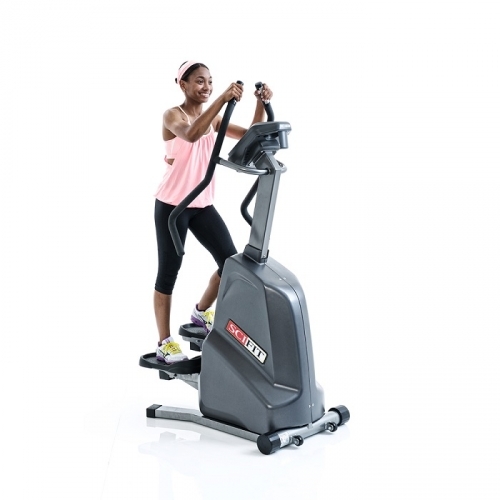 The SciFit Pro1000 Sports Seated Upper Body, accessibility and low starting resistance make it easy to get on and get going. 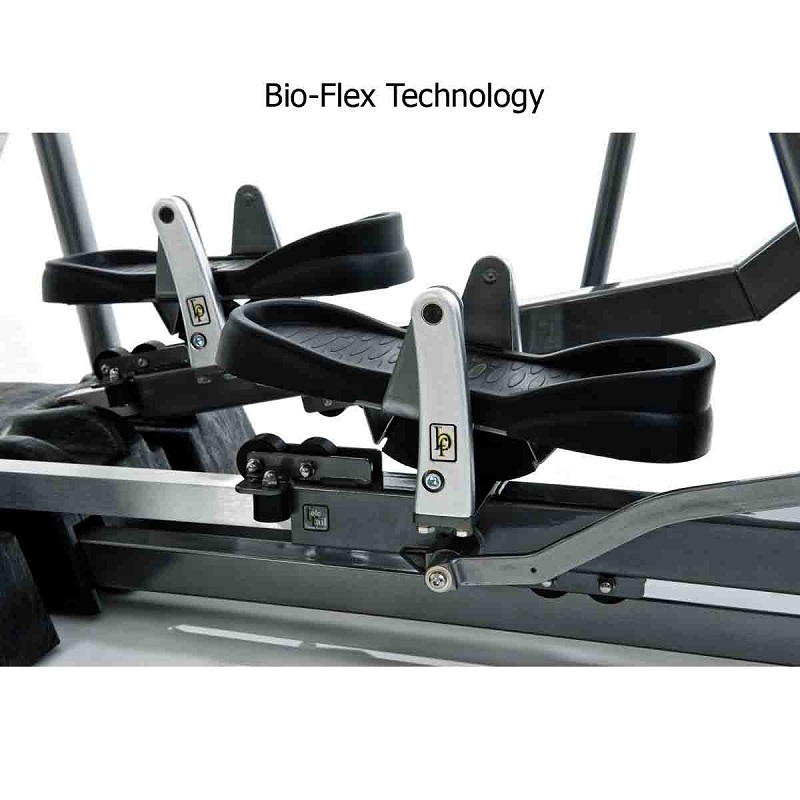 Having the ability to change the crank arm orientation on the SciFit Pro1000 Sports Seated Upper Body from the standard bicycle offset movement to work in unison or in a rotary rowing pattern is advantageous. 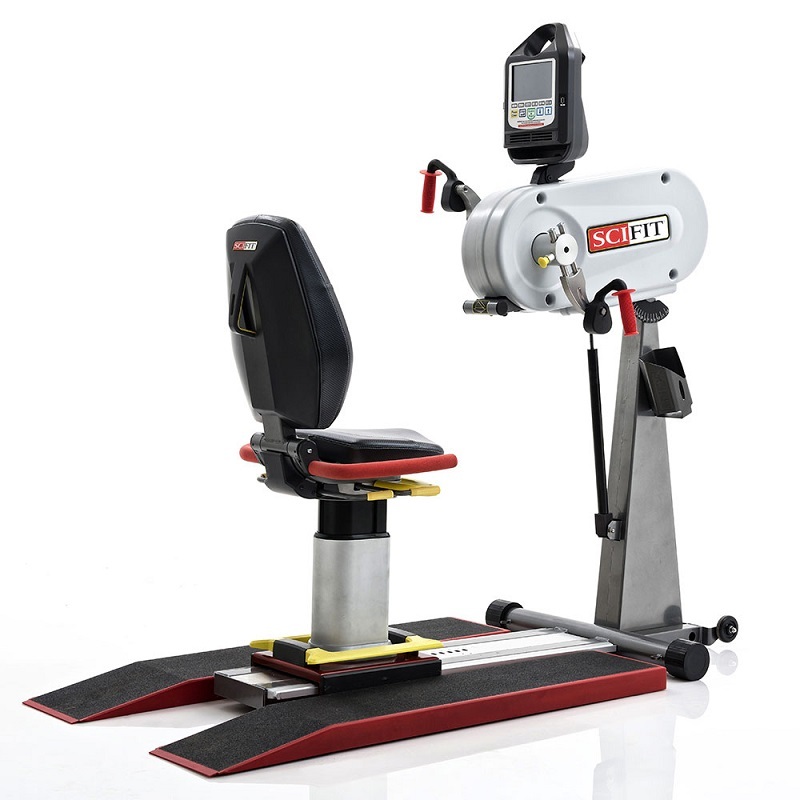 It allows the user to work in core flexion versus rotation in cases where torso rotation is undesirable. 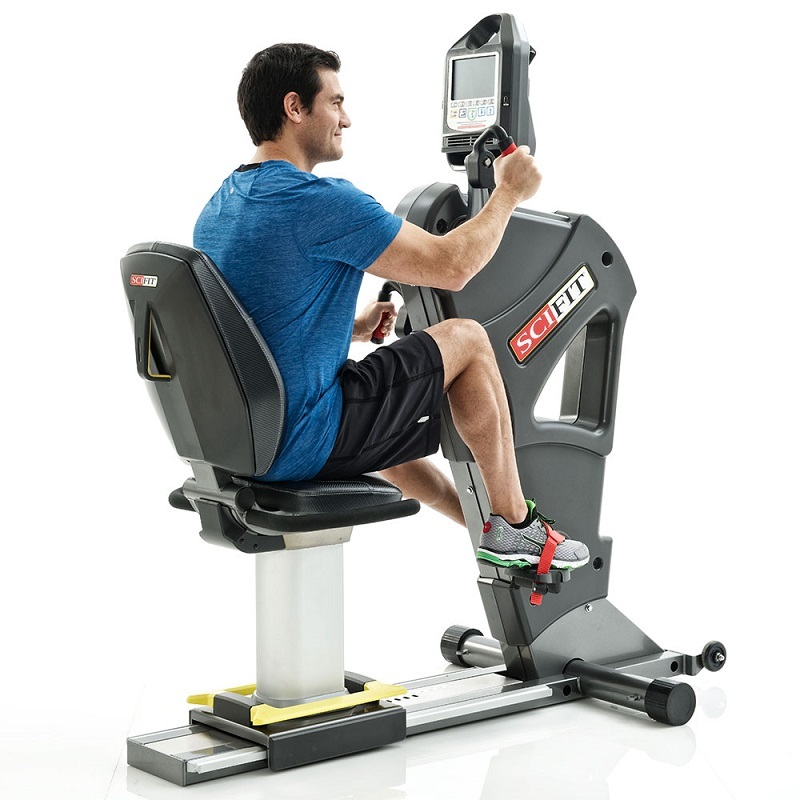 With the SciFit Pro1000 Sports Seated Upper Body you have the ability to utilize bi-directional movement. Bi-directional movement is essential for muscle and joint balance, but perhaps more importantly for neuromuscular kinesthesia. When we cue the patient to go backwards, 99 times out of 100 their neuromuscular hardwiring will tell them to pull. When we cue them to go forward their brain will tell them to push. But as their kinesthetic awareness expands they will come to realize that as only part of the total equation. In fact, in the course of any given rotation there are myriad push/pull combinations. As these new neuromuscular pattern connections are made, kinesthesia, motor skills, and even cognitive skills are improved. Anything that takes the patient out of the dominant pattern makes the brain-muscle connection stronger and actually smarter. 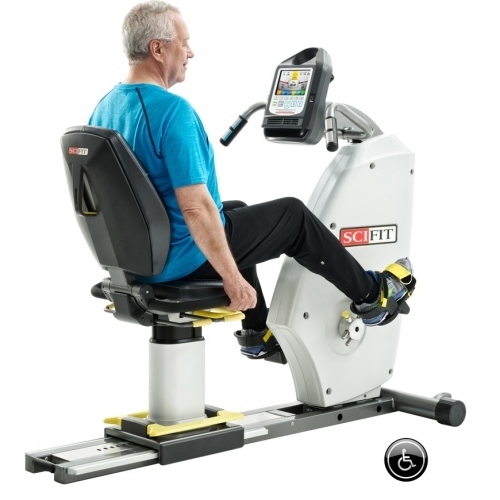 The SciFit Inclusive Fitness PRO1 Upper Body is a versatile, highly adjustable upper body exerciser can be used seated or standing. 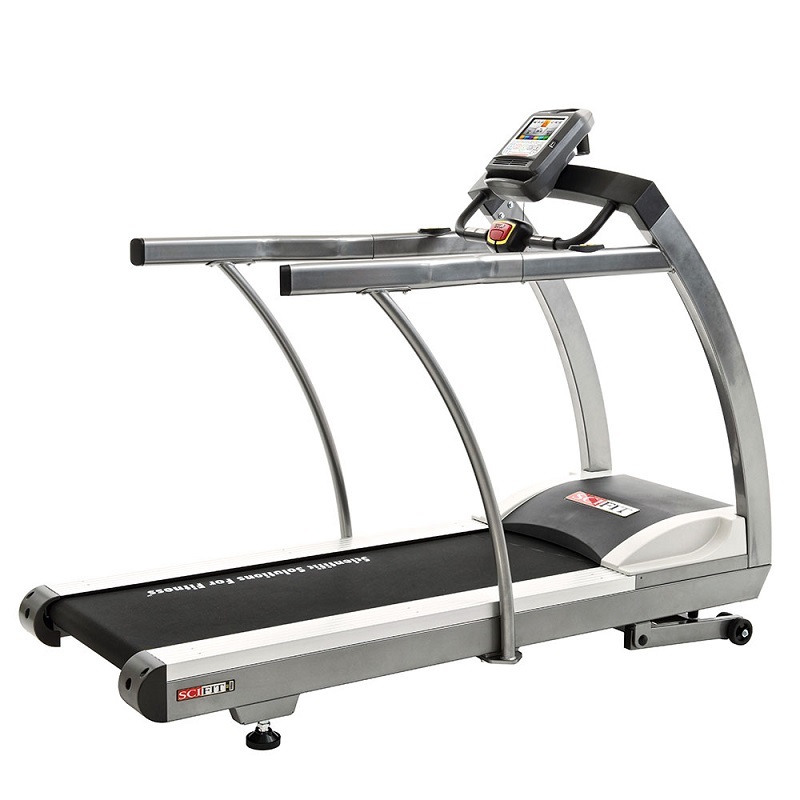 It is also ideal for ground-based training. 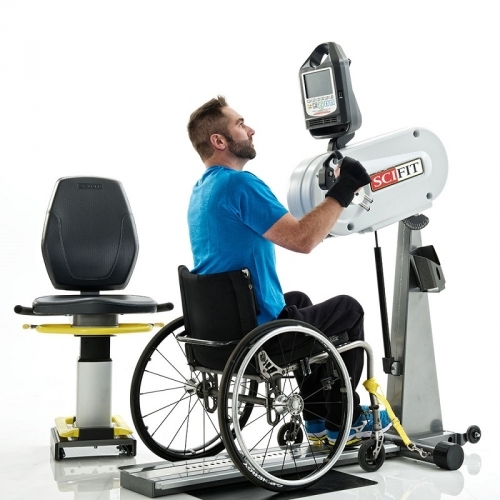 Having the ability to change the crank arm orientation on the SciFit Inclusive Fitness PRO1 Upper Body from the standard bicycle offset movement to work in unison or in a rotary rowing pattern is advantageous. 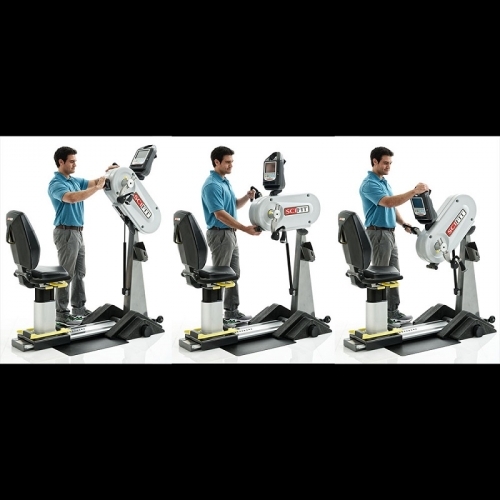 It allows the user to work in core flexion versus rotation in cases where torso rotation is undesirable. True adjustable step-through design with only a 3” step over height and expandable step through space at a full 23”. Resistance system - 3 phase combination generator and eddy current brake with resistance output of 6 to 1000 watts. 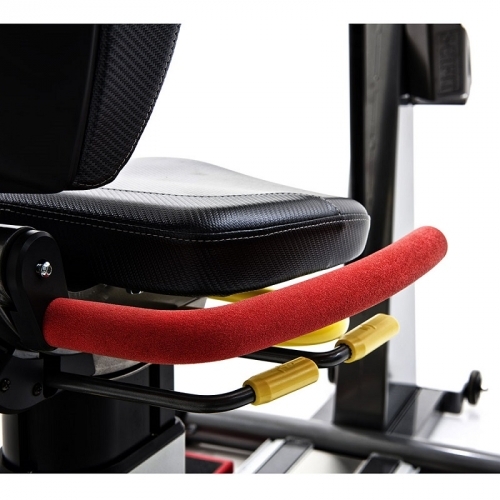 1-20 levels adjustable in .1 increments providing 200 levels of resistance. 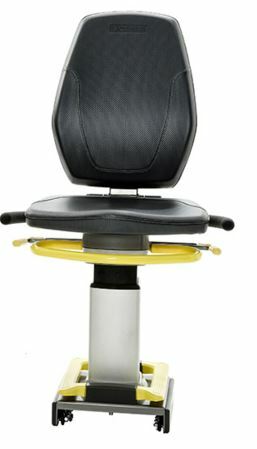 Recumbent swivel seat moves fore, aft, up, down and swivels 360° locking at each 90° angle. Oversized foot pedals with ankle support. Adjustable pedal crank option (shown) provides three adjustments (5”, 6” & 7”). 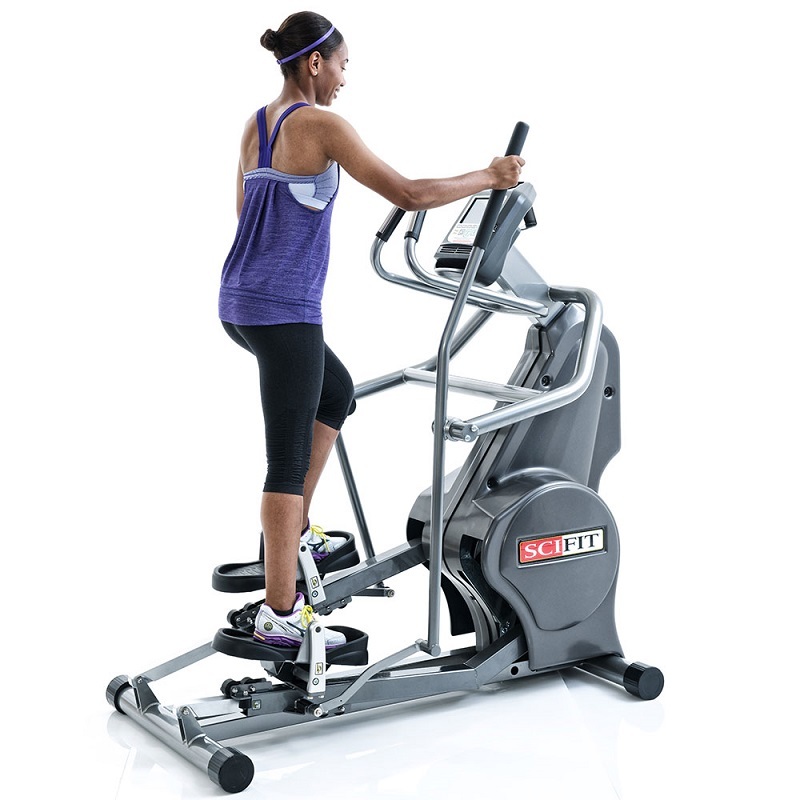 This allows the user more versatility to adjust their range of motion. 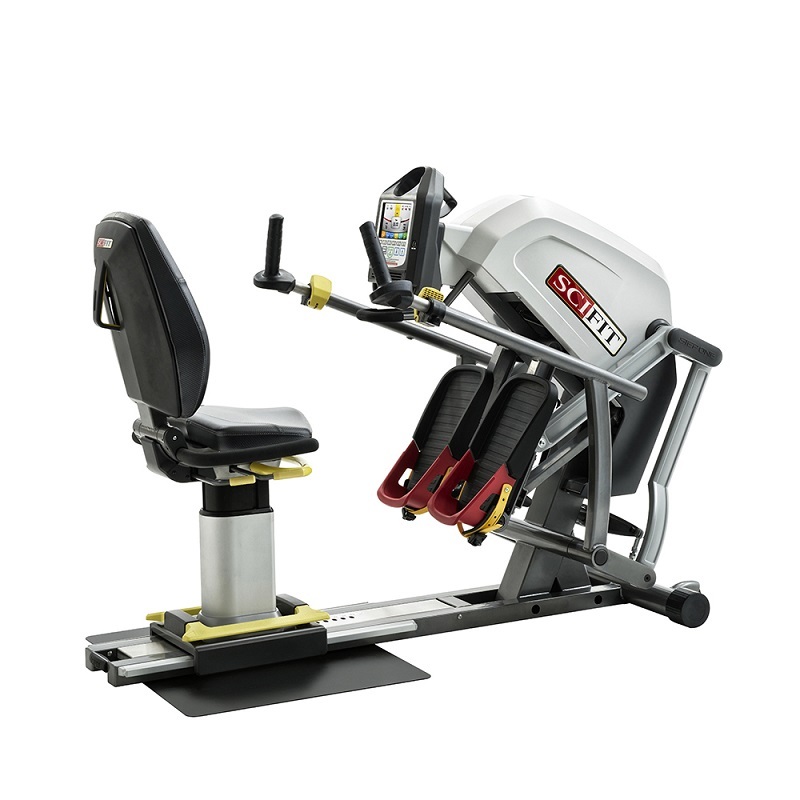 Iso-strength, coupled with bi-directional resistance allows the user to perform a leg press movement going forward and gluteus and hamstring exercise in reverse. Color coordinated adjustments: moving parts in red, adjustable parts in yellow. Bi-directional resistance - the user can exercise in forward and reverse motion. 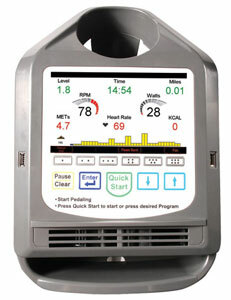 Contact heart rate located on handle bars around console. 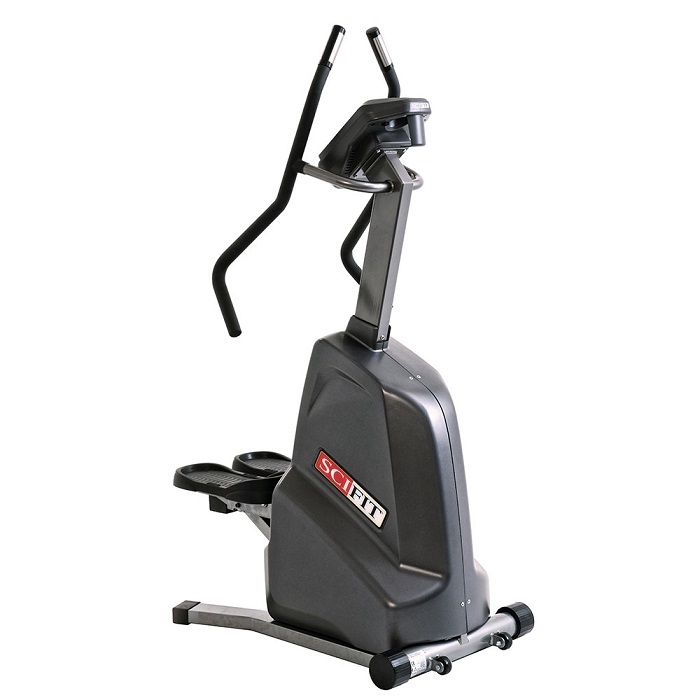 SciFit Inclusive Fitness Recumbent Bike features a true adjustable step through that adjusts up to a full 23 inches for safe and easy access. 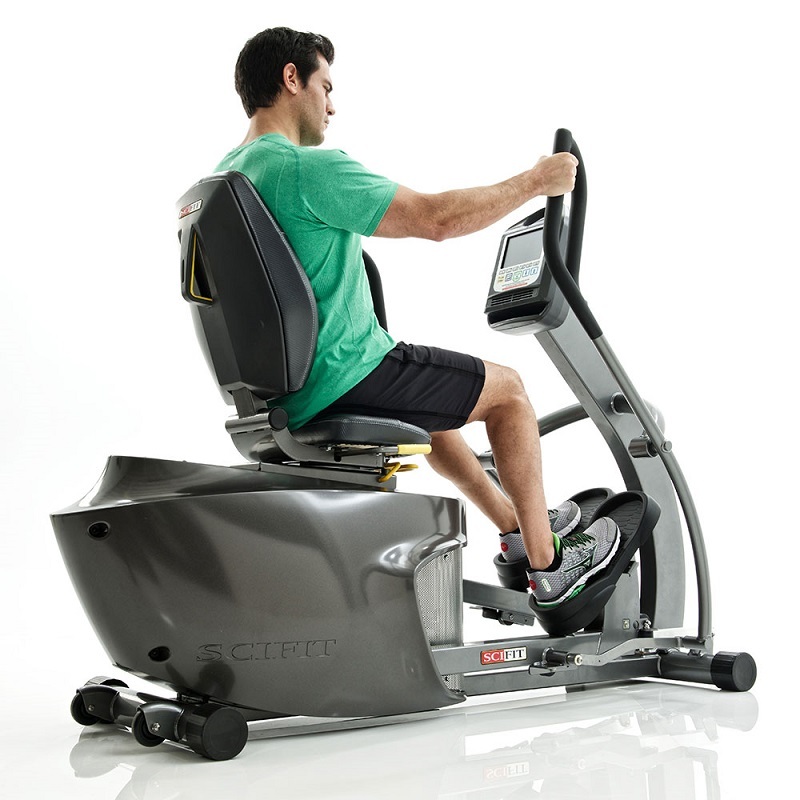 The SciFit Inclusive Fitness Recumbent Bike is our best of the best and your go-to seat for most facilities. 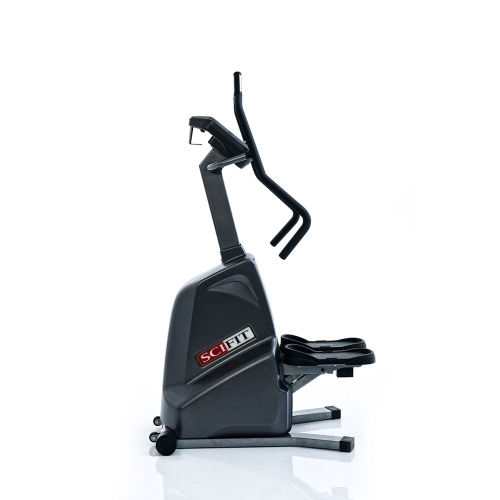 The SciFit Pro1000 Seated Upper Body Premium, accessibility and low starting resistance make it easy to get on and go. 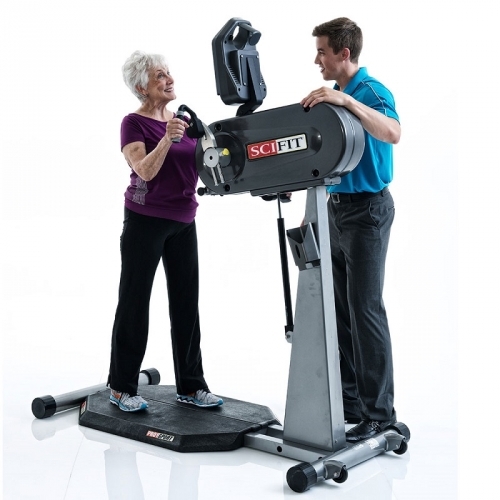 The SciFit PRO1 Upper Body is a versatile, highly adjustable upper body exerciser that can be used seated or standing. It is also ideal for ground-based training. 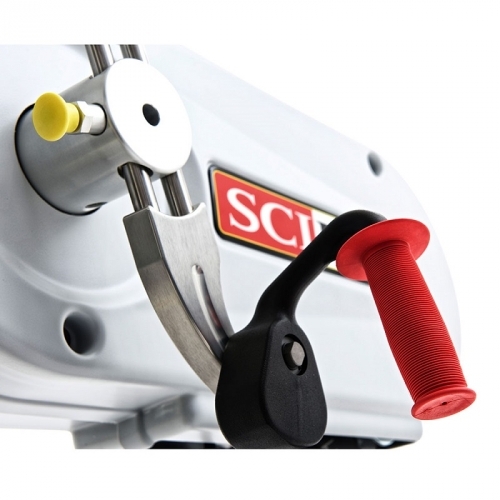 Having the ability to change the crank arm orientation on the SciFit PRO1 Upper Body Standard from the standard bicycle offset movement to work in unison or in a rotary rowing pattern is advantageous. It allows the user to work in core flexion versus rotation in cases where torso rotation is undesirable. 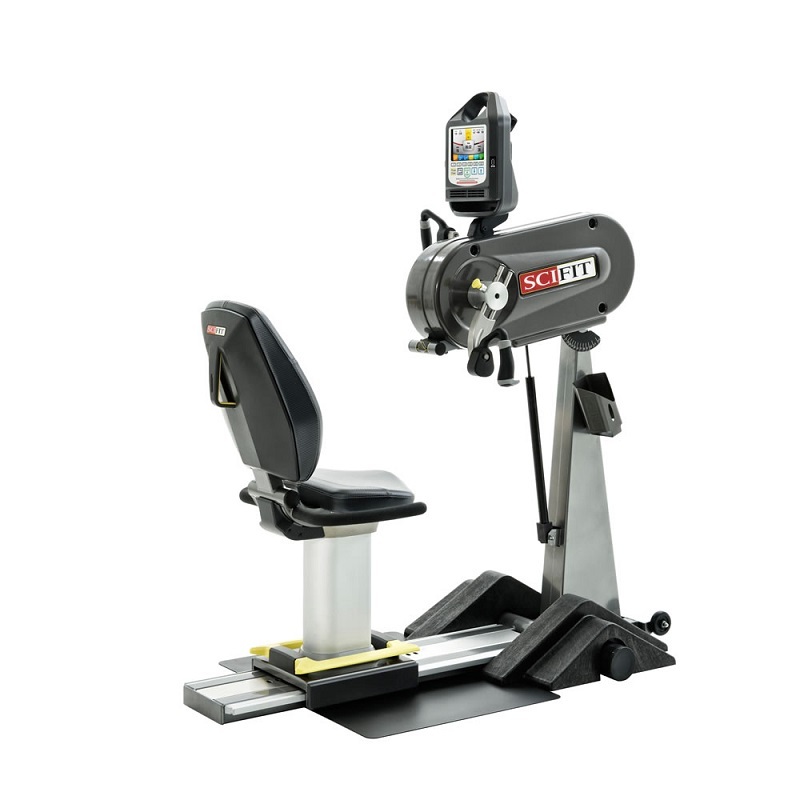 With the SciFit PRO1 Upper Body Standard you have the ability to utilize bi-directional movement. Bi-directional movement is essential for muscle and joint balance, but perhaps more importantly for neuromuscular kinesthesia. When we cue the patient to go backwards, 99 times out of 100 their neuromuscular hardwiring will tell them to pull. When we cue them to go forward their brain will tell them to push. But as their kinesthetic awareness expands they will come to realize that as only part of the total equation. In fact, in the course of any given rotation there are myriad push/pull combinations. As these new neuromuscular pattern connections are made, kinesthesia, motor skills, and even cognitive skills are improved. Anything that takes the patient out of the dominant pattern makes the brain-muscle connection stronger and actually smarter. 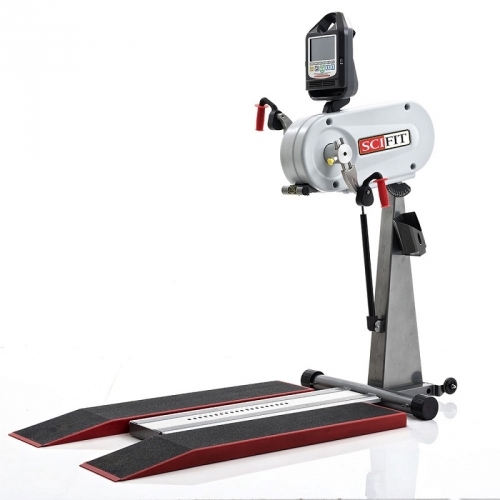 Having the ability to change the crank arm orientation on the SciFit Pro2 Total Body from the standard bicycle offset movement to work in unison or in a rotary rowing pattern is advantageous. 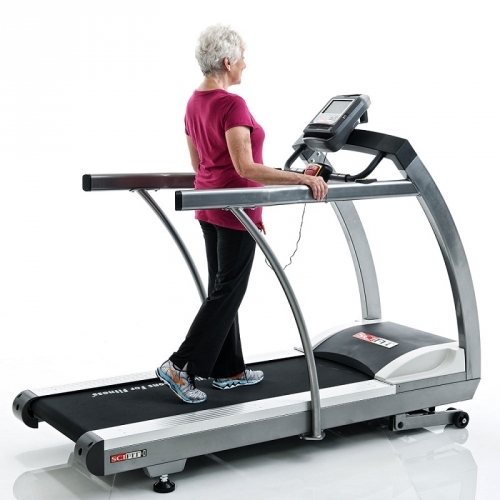 It allows the user to work in core flexion versus rotation in cases where torso rotation is undesirable. 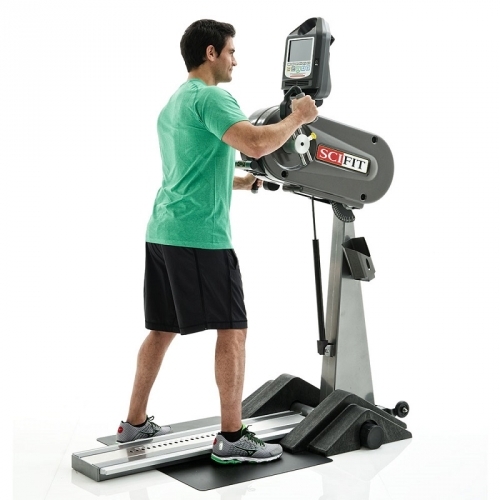 With the SciFit Pro2 Total Body you have the ability to utilize bi-directional movement. Bi-directional movement is essential for muscle and joint balance, but perhaps more importantly for neuromuscular kinesthesia. When we cue the patient to go backwards, 99 times out of 100 their neuromuscular hardwiring will tell them to pull. When we cue them to go forward their brain will tell them to push. But as their kinesthetic awareness expands they will come to realize that as only part of the total equation. In fact, in the course of any given rotation there are myriad push/pull combinations. As these new neuromuscular pattern connections are made, kinesthesia, motor skills, and even cognitive skills are improved. Anything that takes the patient out of the dominant pattern makes the brain-muscle connection stronger and actually smarter. FitnessZone® will be able to custom fit you on a home gym that will help you obtain your fitness goals while meeting your budget or space requirements. 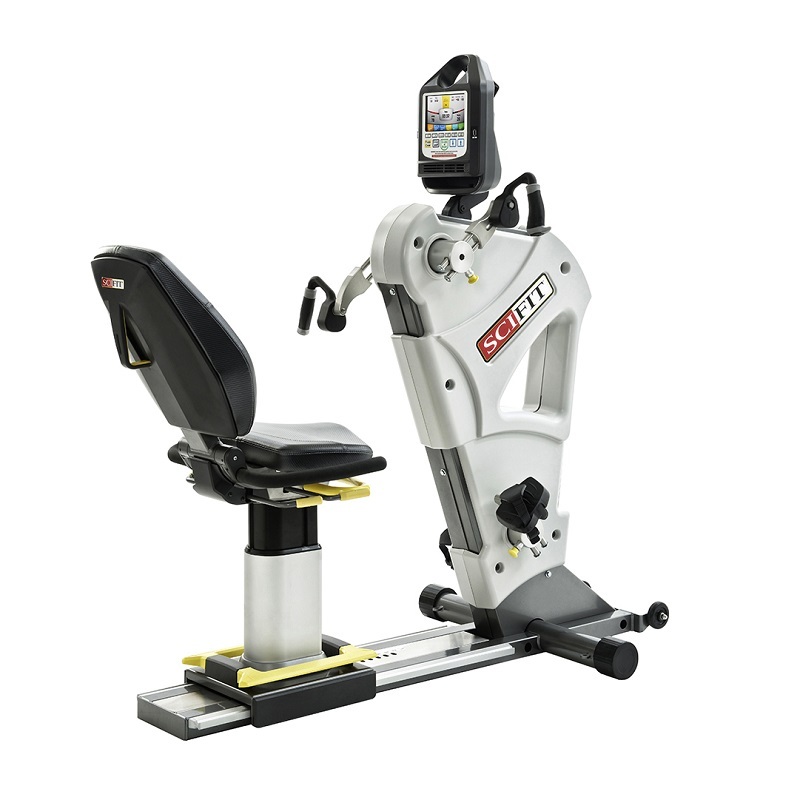 The SciFit line of rehav equipment has been on of our best sellers on the web site because of it's exercises that it offers rehabilitation. We have service technicians on call 7 days a week throughout the World for our customer's service needs. 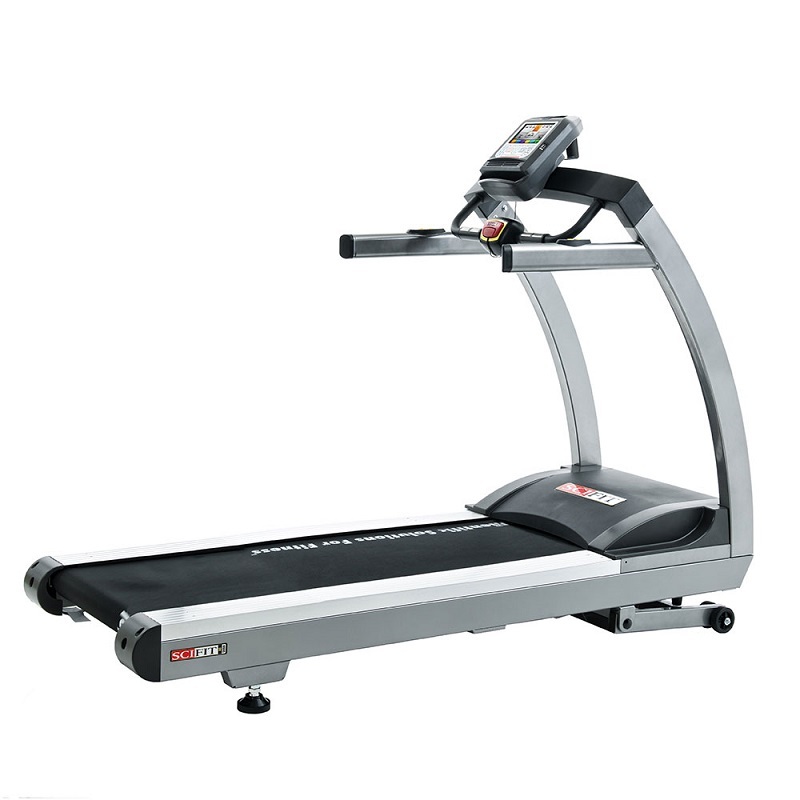 Order your rehab equipment at FitnessZone.com and exercise your way to better Health. 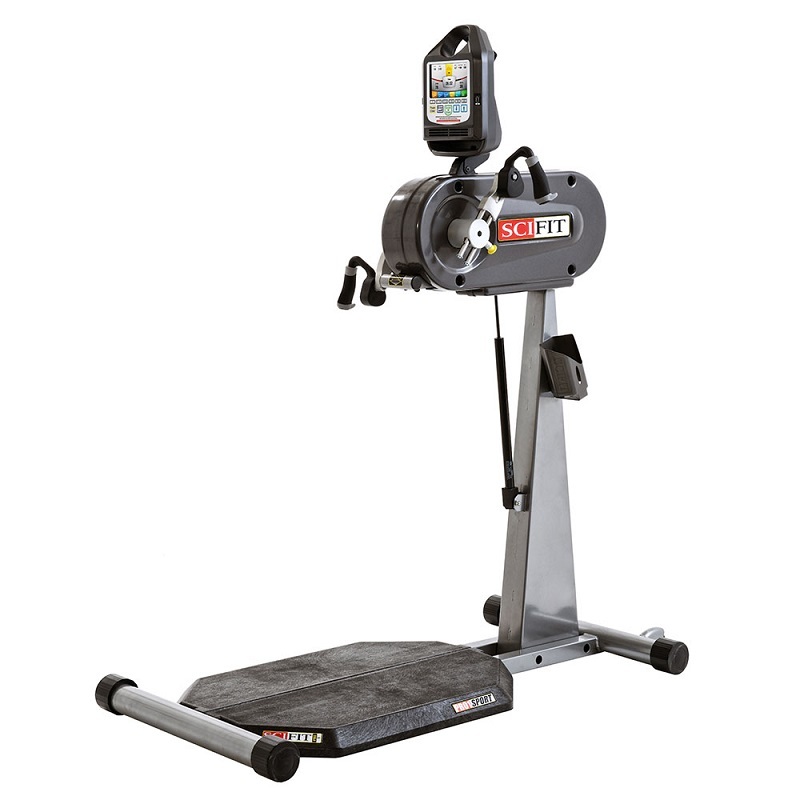 SciFit products are packed with the features you want at a price you can afford.